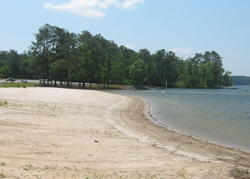 This day use facility offers a swimming beach, a fishing jetty, and two boat launches. There are bathrooms located in a building just off of the main parking lot. 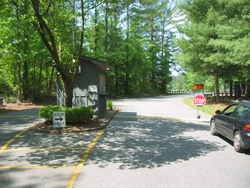 There is a $4 per vehicle fee for entry into the park. This can be paid at the park entry booth or, on days when it is not staffed, at self serve collections boxes. 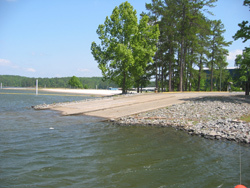 The boat ramps consist of two, two-lane ramps. 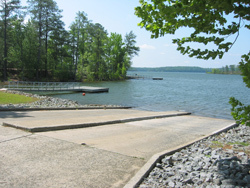 There is a boat loading dock at each launch area (10 minute time limit, no fishing, no swimming, no sunbathing). The parking area and launch access provide ample room for maneuvering your rig. 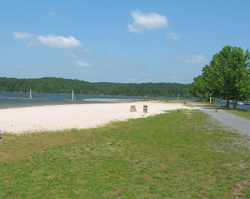 There is a sandy beach and a roped off area of water for swimming. There are no lifeguards. 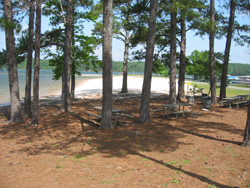 Just off of one edge of the beach there are a few picnic tables.